I am still working on my review of the Fuji X-E1. 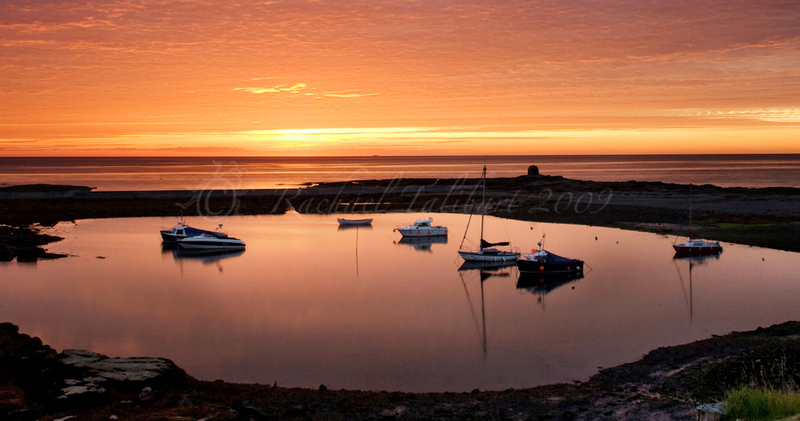 In the meantime, here’s a shot from 2009 of sunrise over the pond at Seahouses in Northumberland. This was perhaps the beginning of me taking landscape photography seriously, well seriously enough to get up at dawn, which is pretty early in this country in July! Taken using my first DSLR, the Canon D400, plus kit lens. This entry was posted in photography, travel and tagged dawn, landscape, landscape photography, Northumberland, photography, Seahouses, seascape, sunrise by Rachael. Bookmark the permalink. Wow! I’d get up early for that too. Every day. This morning was foggy and bleached of color. I needed this!! Very, very early!! and well worth it..
Lovely! Thanks so much for taking and sharing this.